Failure Mode and Effect Analysis (FMEA) and Failure Modes, Effects and Criticality Analysis (FMECA) are methodologies designed to identify potential failure modes for a product or process, to assess the risk associated with those failure modes, to rank the issues in terms of importance and to identify and carry out corrective actions to address the most serious concerns. Although the purpose, terminology and other details can vary according to type (e.g., Process FMEA - PFMEA, Design FMEA - DFMEA, System FMEA, Product FMEA, FMECA, etc. ), the basic methodology is similar for all. ReliaSoft's XFMEA software facilitates data analysis and reporting for FMEAS, with configurable settings and predefined profiles for the major published standards. There are a number of published guidelines and standards for the requirements and recommended reporting format of failure mode and effects analyses. Some of the main published standards for this type of analysis include SAE J1739, AIAG FMEA-4 and MIL-STD-1629A. In addition, many industries and companies have developed their own procedures to meet the specific requirements of their products/processes. As an example, Figure 1 shows a sample Process FMEA (PFMEA) in the Automotive Industry Action Group (AIAG) FMEA-4 format. A typical failure modes and effects analysis incorporates some method to evaluate the risk associated with the potential problems identified through the analysis. The two most common methods, Risk Priority Numbers and Criticality Analysis, are described next. The MIL-STD-1629A document describes two types of criticality analysis: qualitative and quantitative. 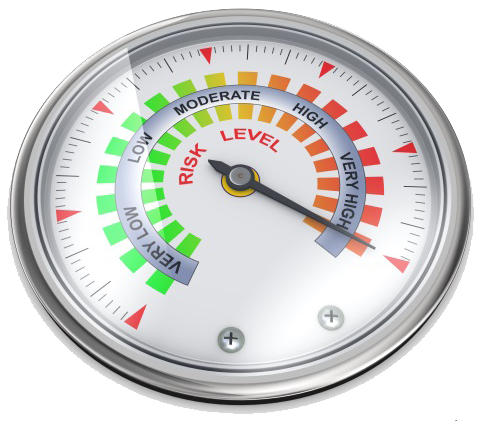 To use qualitative criticality analysis to evaluate risk and prioritize corrective actions, the analysis team must a) rate the severity of the potential effects of failure and b) rate the likelihood of occurrence for each potential failure mode. It is then possible to compare failure modes via a Criticality Matrix, which identifies severity on the horizontal axis and occurrence on the vertical axis. To use quantitative criticality analysis, the analysis team considers the reliability/unreliability for each item at a given operating time and identifies the portion of the item’s unreliability that can be attributed to each potential failure mode. For each failure mode, they also rate the probability that it will result in system failure. The team then uses these factors to calculate a quantitative criticality value for each potential failure and for each item. Note: The quantitative criticality analysis in ReliaSoft's software tools (XFMEA and RCM++) is patterned after the concepts in MIL-STD-1629A but modified to use a more general approach that overcomes several inherent limitations and simplifications present in MIL-STD-1629A (including the assumption of a constant failure rate). For specific details on this approach, see http://www.ReliaWiki.org/index.php/Criticality_Analysis. The Failure Modes, Effects and Criticality Analysis (FMEA / FMECA) procedure is a tool that has been adapted in many different ways for many different purposes. It can contribute to improved designs for products and processes, resulting in higher reliability, better quality, increased safety, enhanced customer satisfaction and reduced costs. The tool can also be used to establish and optimize maintenance plans for repairable systems and/or contribute to control plans and other quality assurance procedures. It provides a knowledge base of failure mode and corrective action information that can be used as a resource in future troubleshooting efforts and as a training tool for new engineers. In addition, an FMEA or FMECA is often required to comply with safety and quality requirements, such as ISO 9001, QS 9000, ISO/TS 16949, Six Sigma, FDA Good Manufacturing Practices (GMPs), Process Safety Management Act (PSM), etc. You can use something as simple as a paper form or an Excel spreadsheet to record your FMEA / FMECA analyses. However, if you want to establish consistency among your organization's FMEAs, build a "knowledge base" of lessons learned from past FMEAs, generate other types of reports for FMEA data (e.g. Top 10 Failure Modes by RPN, Actions by Due Date, etc.) and/or track the progress and completion of recommended actions, you may want to use a software tool, such as ReliaSoft's XFMEA or RCM++, to facilitate analysis, data management and reporting for your failure modes and effects analyses. The following resources provide additional information on FMEA / FMECA. SAE International: The Society for Automotive Engineers provides the ability to purchase the J1739 and ARP5580 standards, as well as the AIR4845 document. AIAG: The Automotive Industry Action Group provides the ability to purchase the AIAG FMEA Fourth Edition (FMEA-4) guidelines. IEC: The International Electrotechnical Commission provides the ability to purchase the IEC 60812 standard. Reliability-Related Military Handbooks and Standards on weibull.com: This page provides access to US Department of Defense standards and handbooks in PDF format, including the MIL-STD-1629A standard for Failure Modes, Effects and Criticality Analysis (FMECA) analysis. Effective FMEAs - Reader's Website: This website is dedicated to the readers of the Effective FMEAs book by Carl S. Carlson. It contains checklists, links and articles related to performing FMEAs. NASA STI Special Bibliography for FMEA: NASA's Scientific and Technical Information (STI) program provides a "sampler bibliography" that contains abstracts for documents related to Failure Mode and Effects Analysis (FMEA) and Failure Modes, Effects and Criticality Analysis (FMECA) in the NASA STI Database. Automotive Industry Action Group (AIAG), Potential Failure Mode and Effects Analysis (FMEA Third Edition or Fourth Edition). July, 2001 or June, 2008. Automotive Industry Action Group (AIAG), Advanced Product Quality Planning and Control Plan (APQP First Edition or Second Edition). June, 1994 or July 2008. Carlson, Carl S., Effective FMEAs: Achieving Safe, Reliable, and Economical Products and Processes using Failure Mode and Effects Analysis. John Wiley & Sons, Hoboken, New Jersey, 2012. Crowe, Dana and Alec Feinberg, Design for Reliability. Ch. 12 "Failure Modes and Effects Analysis." CRC Press, Boca Raton, Florida, 2001. Dhillon, B.S., Design Reliability: Fundamentals and Applications, Ch. 6 "Failure Modes and Effects Analysis." CRC Press, Boca Raton, Florida, 1999.
International Electrotechnical Commission (IEC), Analysis Techniques for System Reliability: Procedure for Failure Mode and Effects Analysis (FMEA). January 2006. Kececioglu, Dimitri, Reliability Engineering Handbook Volume 2. Prentice-Hall Inc., Englewood Cliffs, New Jersey, 1991, pp. 473-506. McDermott, Robin E., Raymond J. Mikulak and Michael R. Beauregard, The Basics of FMEA. Productivity Inc., United States, 2008. Society of Automotive Engineers (SAE), Aerospace Recommended Practice ARP5580: Recommended Failure Modes and Effects Analysis (FMEA) Practices for Non-Automobile Applications. June 2000. Society of Automotive Engineers (SAE), Surface Vehicle Recommended Practice J1739: (R) Potential Failure Mode and Effects Analysis in Design (Design FMEA), Potential Failure Mode and Effects Analysis in Manufacturing and Assembly Processes (Process FMEA), and Potential Failure Mode and Effects Analysis for Machinery (Machinery FMEA). January 2009. US Department of Defense, MIL-STD-1629A: Procedures for Performing a Failure Mode Effects and Criticality Analysis. November 1974, June 1977, November 1980. (Cancelled in November, 1984). Hyperlinks to third-party websites are provided by HBM Prenscia Inc. as a convenience to the user. HBM Prenscia Inc. does not control these sites and is not responsible for the content, update or accuracy of these sites. HBM Prenscia Inc. does not endorse or make any representations about the companies, products, or materials accessible through these hyperlinks. If you opt to hyperlink to sites accessible through this site, you do so entirely at your own risk.